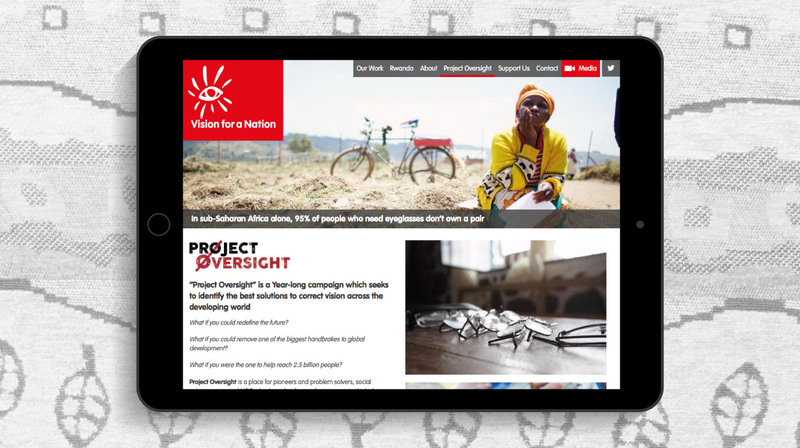 Vision for a Nation is a charity aiming to improve the lives of millions of visually impaired people who currently have limited access to treatment. 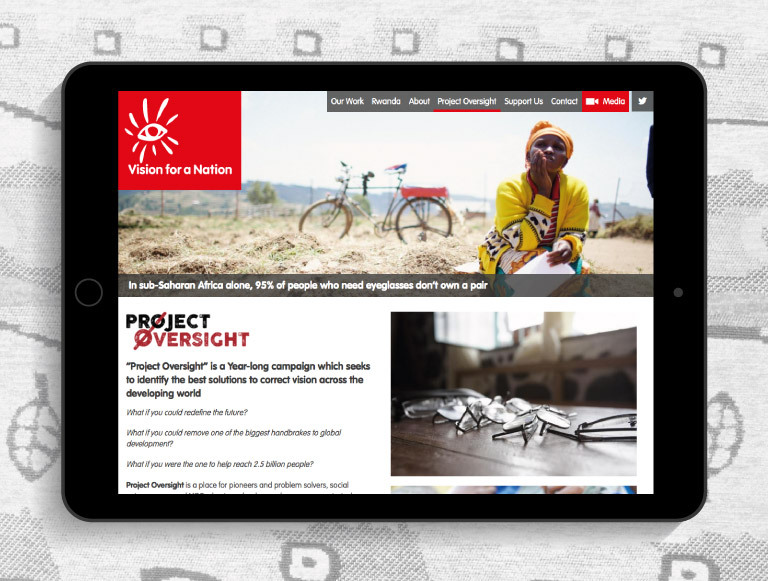 Working initially in Rwanda, Vision for a Nation are establishing a nationwide system using local health centres to distribute low-cost adjustable eyeglasses; linking with a high-level referral system for more complicated eyecare needs. 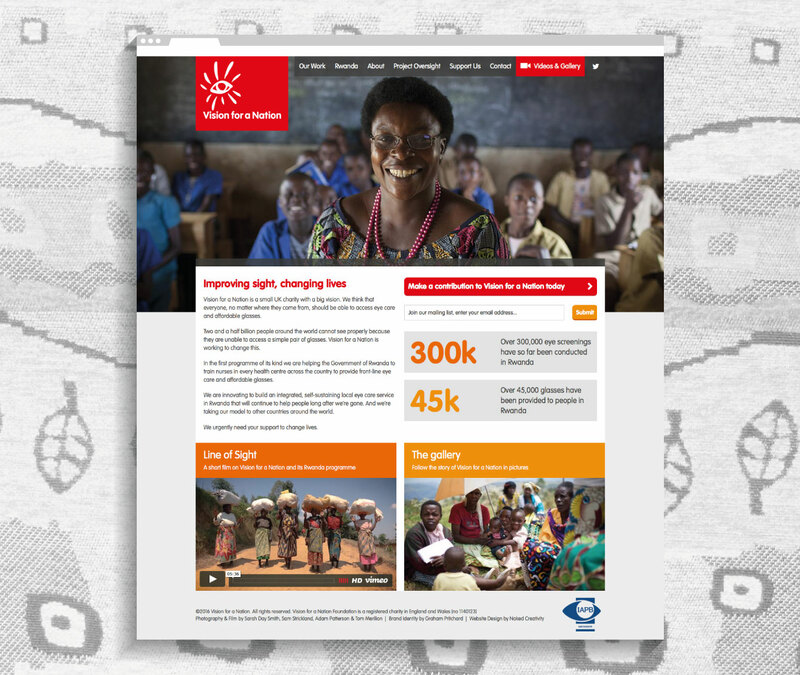 Initially the brief called for a reworking of the existing site, but Naked Creativity proposed a complete overhaul that could not only be delivered for a similar overall cost, but would save the charity money in the future through simpler to maintain website code. Vision for a Nation also benefit from Naked Creativity’s Cee.ms content management system, with the flexibility and ease-of-use that this offers website owners and authors. Being a fully supported system, Vision for a Nation can eliminate unexpected website maintenance costs. 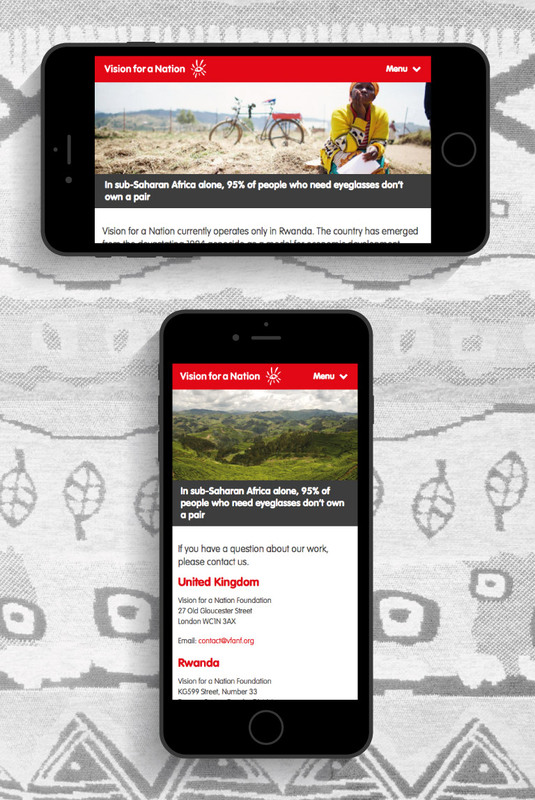 The website has been designed to be fully responsive, recognising that not only in the UK, but also on the ground in Rwanda, visitors are increasingly likely to be viewing the website on a mobile device. 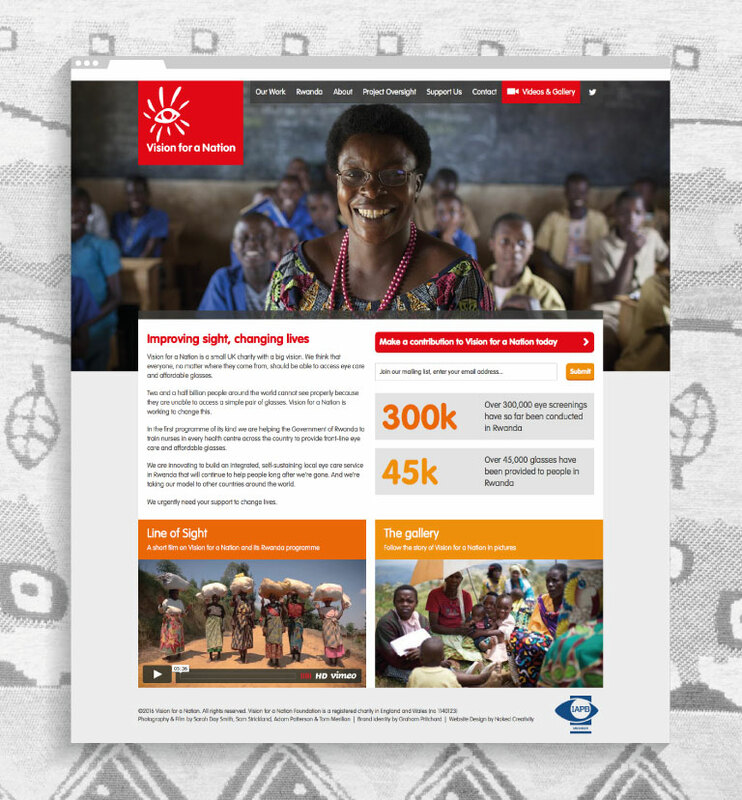 To drive engagement with the charity, Naked Creativity integrated a signup form to Vision for a Nation’s Mailchimp email newsletter, as well as configurable donation buttons through various online donation portals. The new website was delivered on time, and on budget, to positive feedback from Vision for a Nation and their stakeholders and supporters. 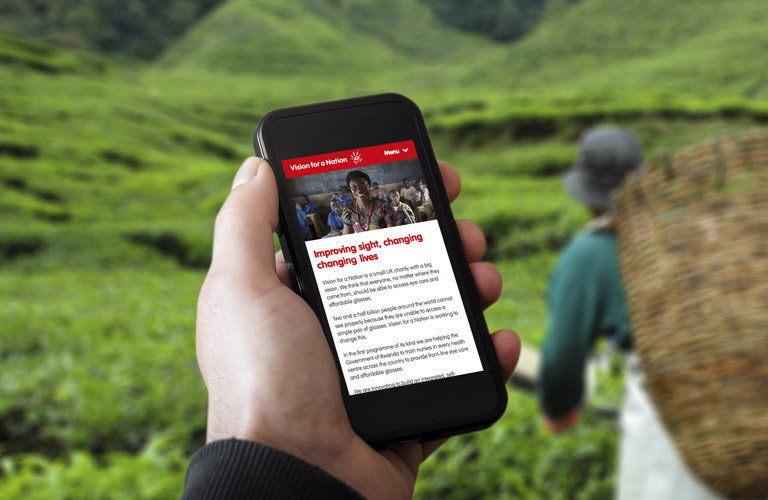 We are really pleased with the new site and have had a lot of positive feedback. Naked Creativity have been refreshingly straightforward and simple to work with, and turned everything around impressively quickly.